The Centenario project has been a big one for the Lamborghini team at Sant'Agata Bolognese. 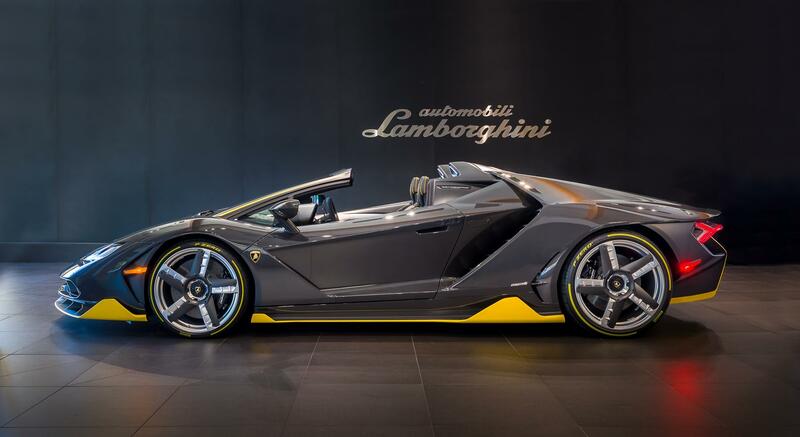 It was developed to commemorate the 100th anniversary of founder Ferruccio Lamborghini's birth, and in honor of him, the company has built 20 coupes and 20 roadster versions of the glorious V-12 exotic. The Centenario's undoubtedly wild design is one that stands out against even the most abstract supercars in the industry, and the roadster variant may take the cake in terms of sheer thrills. The first example in the world was delivered today, marking an important date for the historically extravagant brand. To quickly sum up the Centenario's lunacy, it's a $2.3 million, 770-horsepower V-12 machine that's made almost completely out of carbon fiber. Rest assured, it's more than just a touted-up Aventador. Instead, it's an exercise in Lamborghini's extensive research of carbon composites and lightweight materials. In addition to that, it's quite possibly the most radically designed Lambo yet, which is certainly saying something given the marque's eccentric legacy. Among other crazy statistics, the Centenario launces from a standstill to 60 MPH in only 2.9 seconds. It's able to achieve a top speed of 217 miles per hour, giving it the same top speed as the wicked Aventador SV. The delivery took place at Lamborghini Beverly Hills. It only seems right that the first ever Centenario Roadster would land in California, a place that's known for its riches and excess. 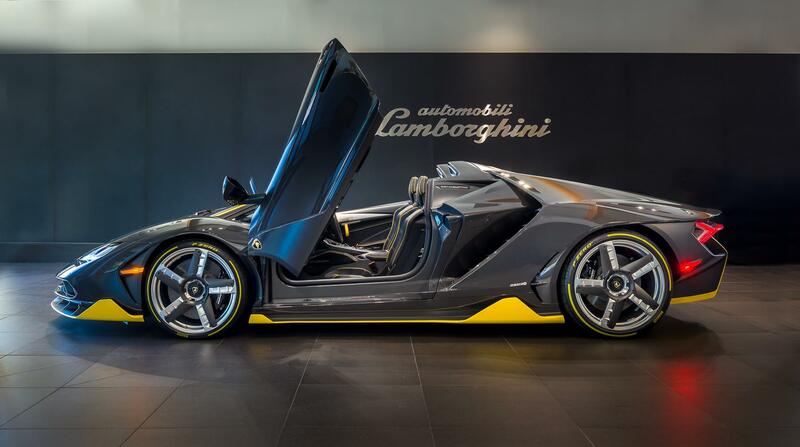 Lamborghini even claims that the car is "well-suited" for the Golden State as its yellow accented exterior plays nicely on the carbon bodywork. The cabin is laden with black Nero Ade leather and Alcantara highlighted with yellow piping and stitching, a theme which continues from the outside in. In result, the lucky buyer was able to purchase the Centenario Roadster for about $2,000,000 and have it be the first delivered in the world. Every example has already been sold out, and the deliveries will continue to take place across the world over the next year.